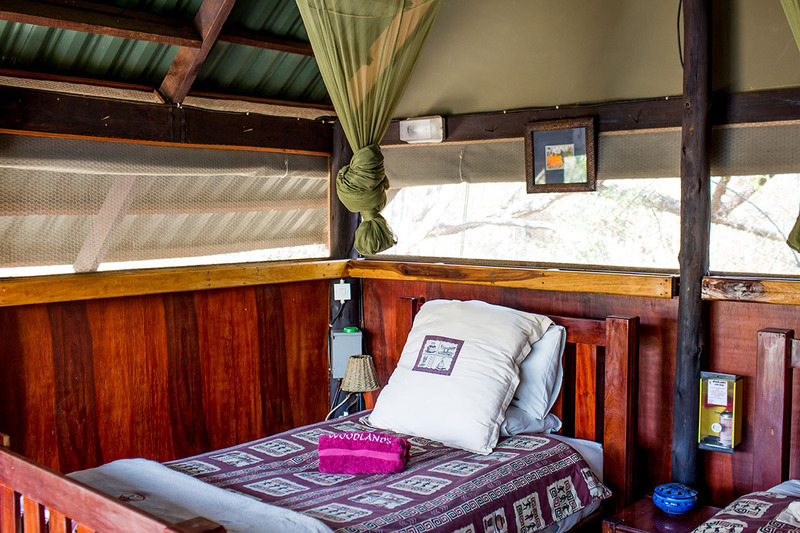 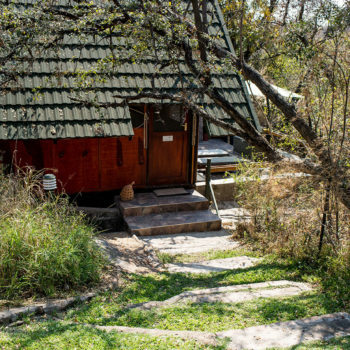 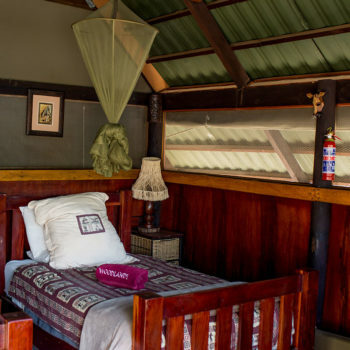 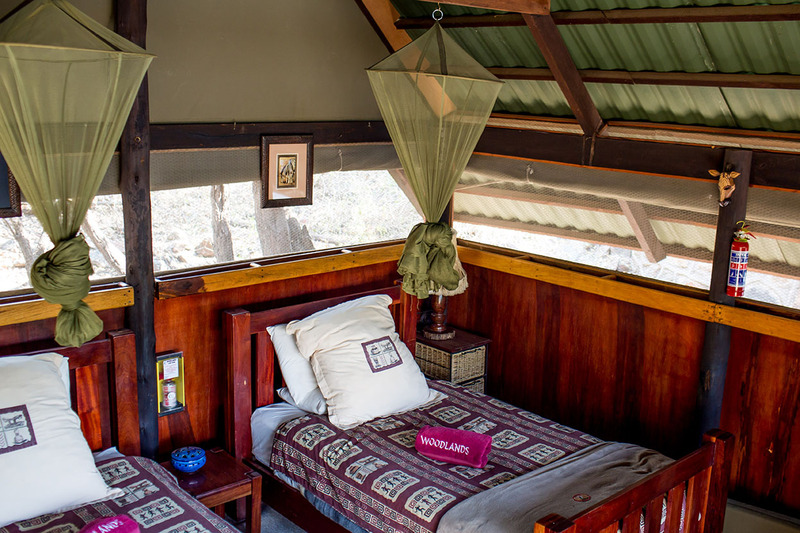 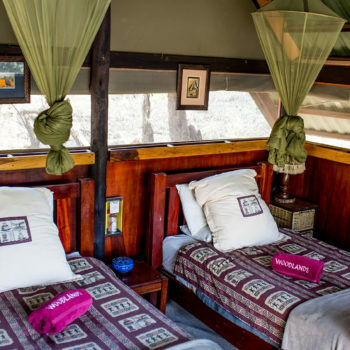 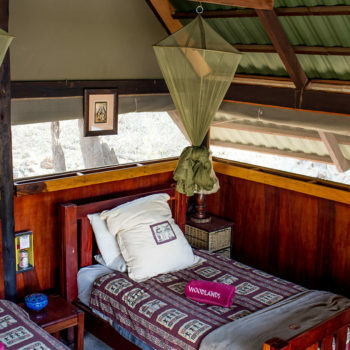 The DECK ROOM is nestled away at the bottom of the campsite overlooking the Tati River and is away from all the campsite activity. 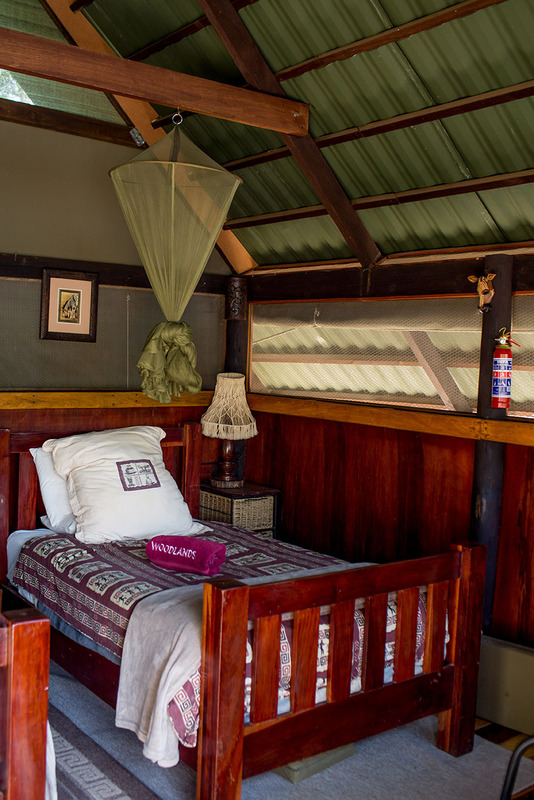 This beautifully furnished room takes on the full flavour of a deck cabin but offering all the comforts of a room. 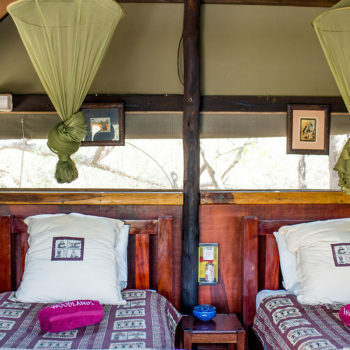 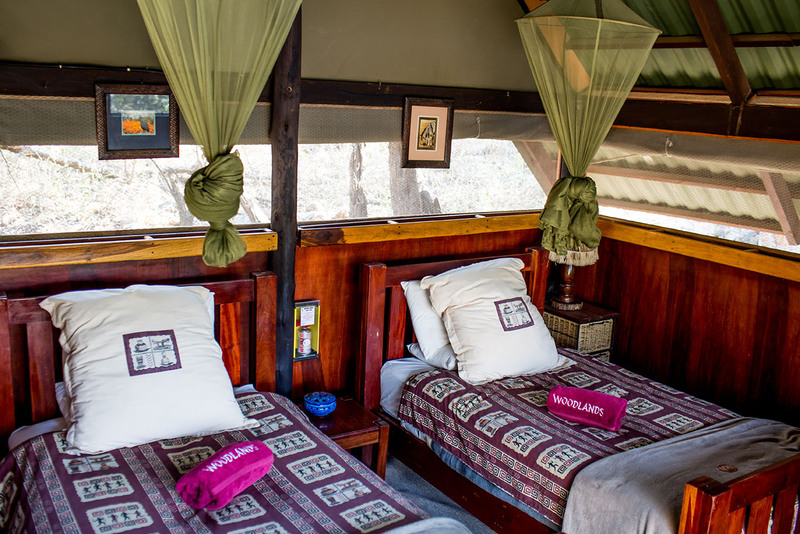 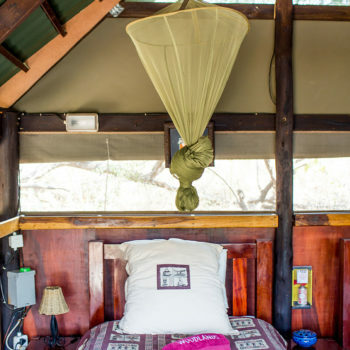 It sleeps two people on three-quarter teak framed beds. 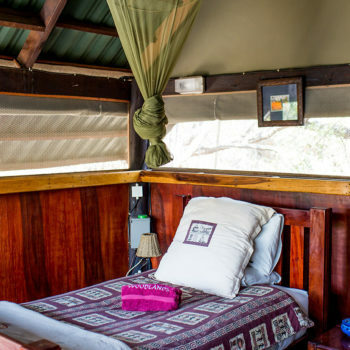 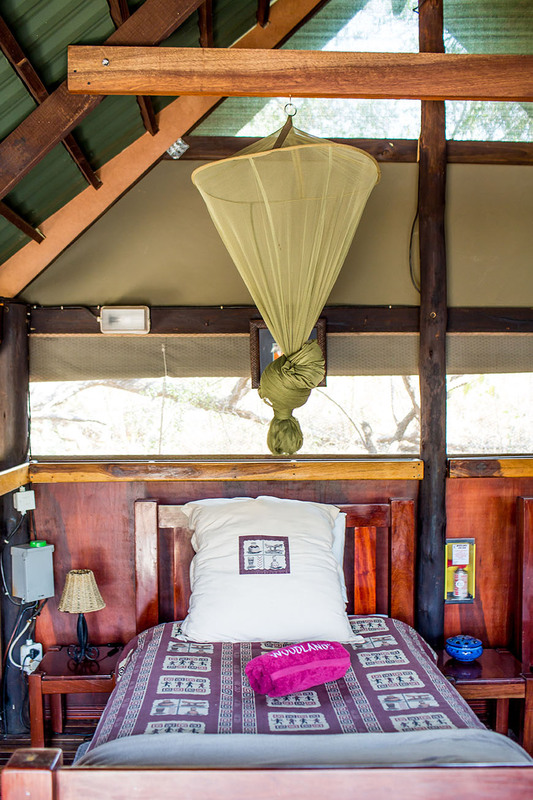 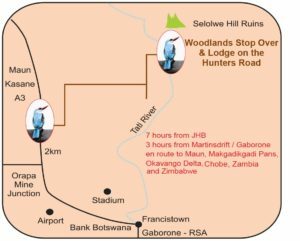 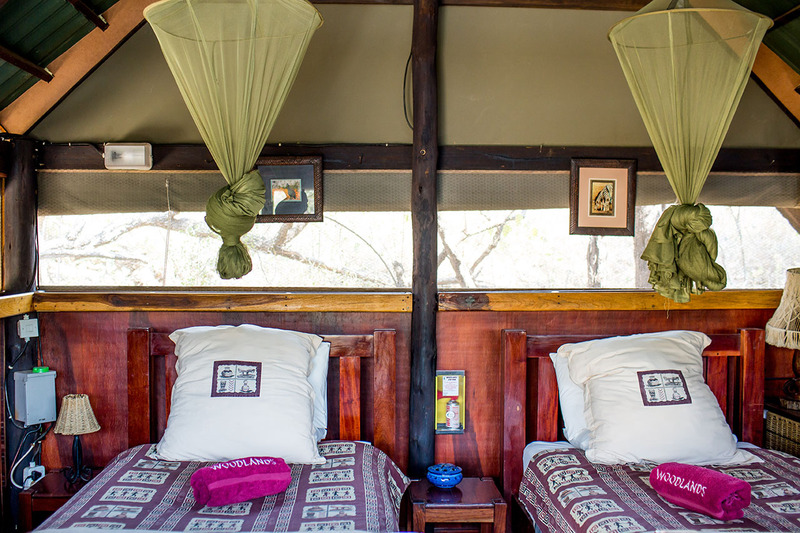 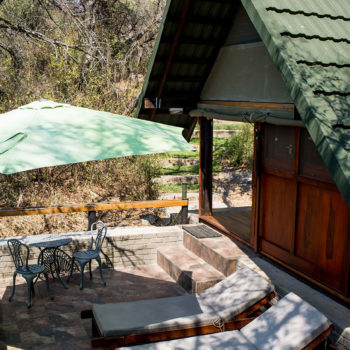 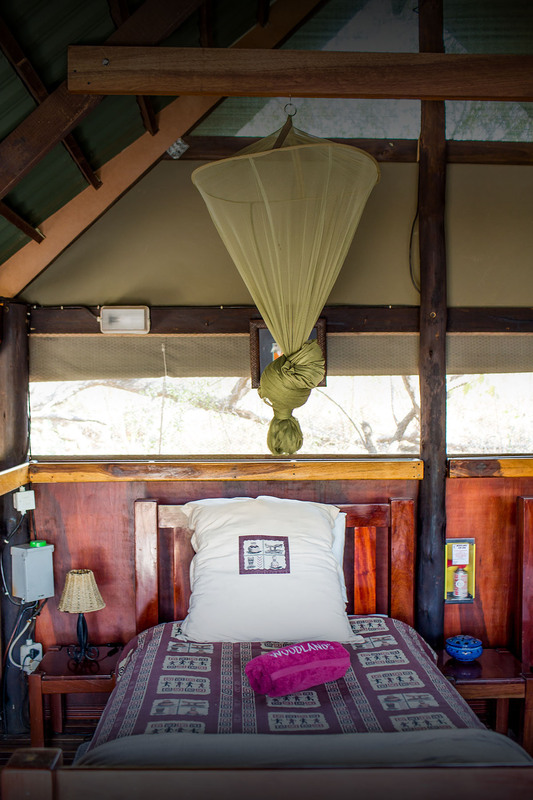 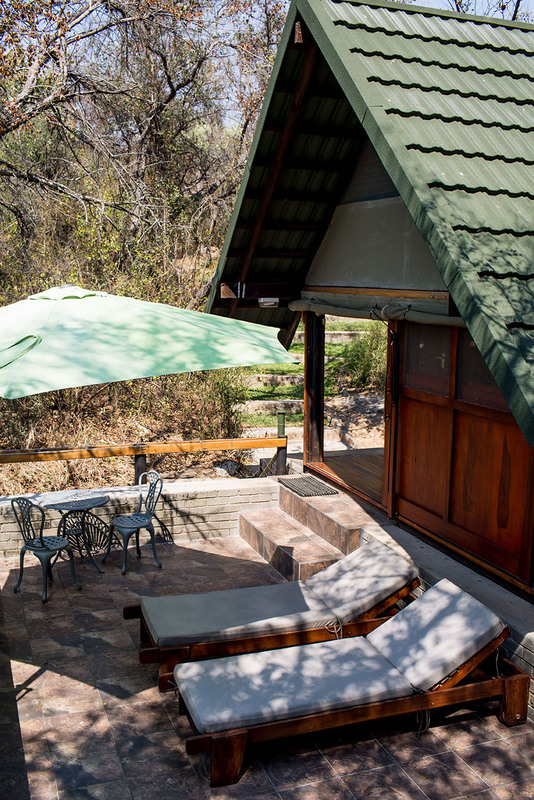 Complimentary tea/coffee is offered but there is no fridge or other cooking facilities/utilities other than a private and secluded braai area. 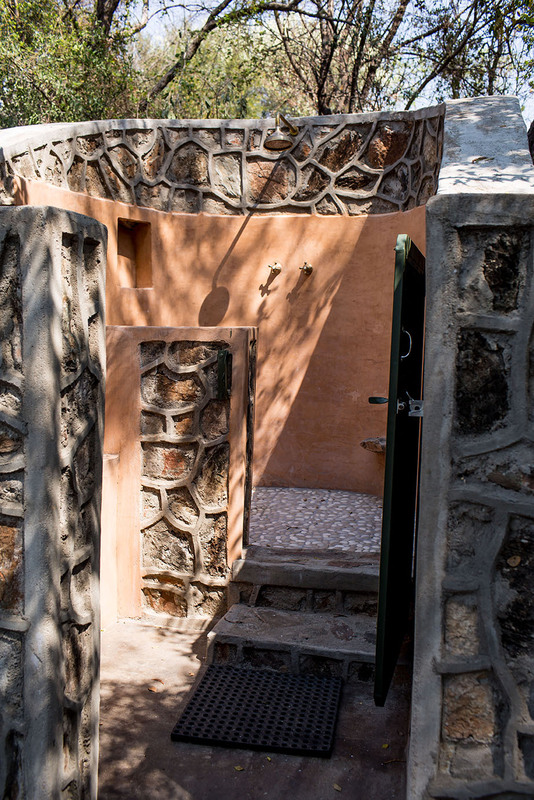 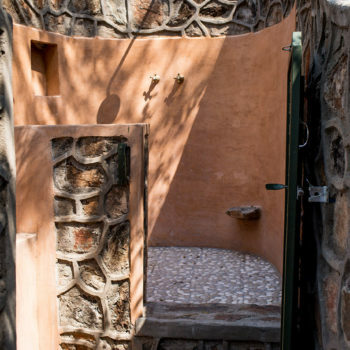 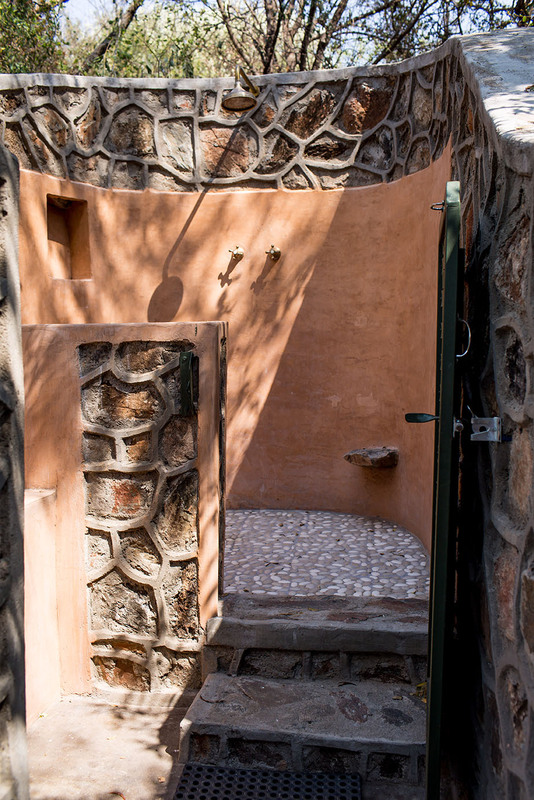 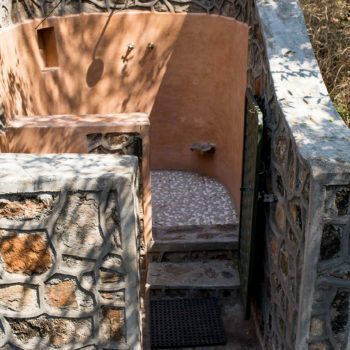 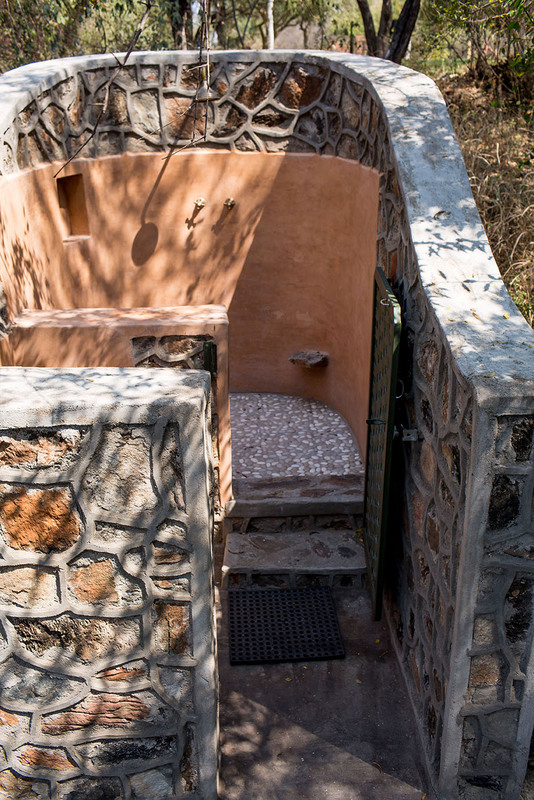 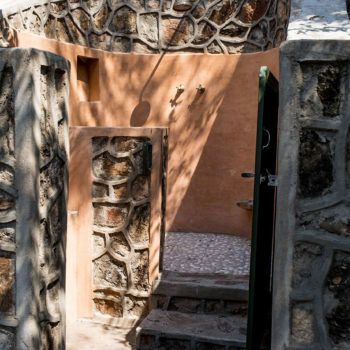 It has a newly completed OUTDOOR SHOWER but no toilet, so, you would make use of the communal ablution block in the campsite for this purpose. 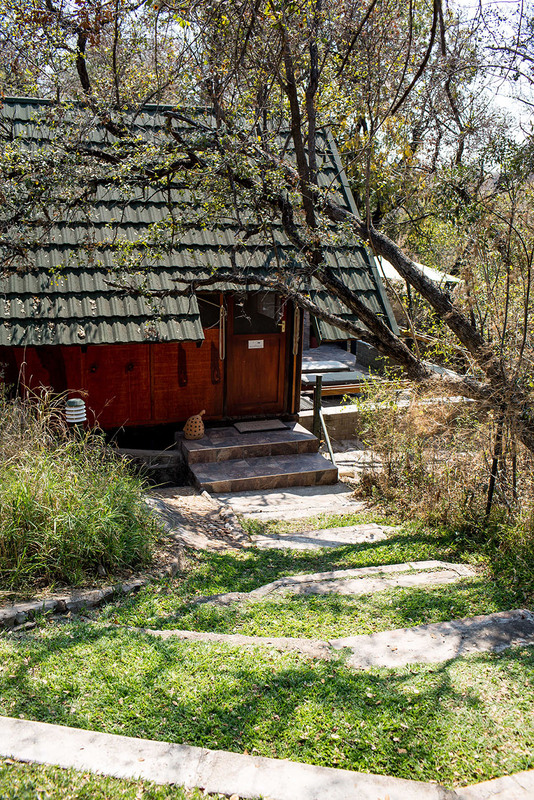 Private parking is adjacent to the room.